The problem of combining fast fault clearance with selective tripping of plant is a key aim for the protection of power systems. To meet these requirements, high-speed protection systems for transmission and primary distribution circuits that are suitable for use with the automatic reclosure of circuit breakers are under continuous development and are very widely applied. Distance protection, in its basic form, is a non-unit system of protection offering considerable economic and technical advantages. Unlike phase and neutral overcurrent protection, the key advantage of distance protection is that its fault coverage of the protected circuit is virtually independent of source impedance variations. This is illustrated in Figure 11.1, where it can be seen that overcurrent protection cannot be applied satisfactorily. Distance protection is comparatively simple to apply and it can be fast in operation for faults located along most of a protected circuit. It can also provide both primary and remote back-up functions in a single scheme. It can easily be adapted to create a unit protection scheme when applied with a signaling channel. In this form it is eminently suitable for application with high-speed auto-reclosing, for the protection of critical transmission lines. Since the impedance of a transmission line is proportional to its length, for distance measurement it is appropriate to use a relay capable of measuring the impedance of a line up to a predetermined point (the reach point). Such a relay is described as a distance relay and is designed to operate only for faults occurring between the relay location and the selected reach point, thus giving discrimination for faults that may occur in different line sections. The basic principle of distance protection involves the division of the voltage at the relaying point by the measured current. The apparent impedance so calculated is compared with the reach point impedance. If the measured impedance is less than the reach point impedance, it is assumed that a fault exists on the line between the relay and the reach point. The reach point of a relay is the point along the line impedance locus that is intersected by the boundary characteristic of the relay. Since this is dependent on the ratio of voltage and current and the phase angle between them, it may be plotted on an R/X diagram. The loci of power system impedances as seen by the relay during faults, power swings and load variations may be plotted on the same diagram and in this manner the performance of the relay in the presence of system faults and disturbances may be studied. Distance relay performance is defined in terms of reach accuracy and operating time. Reach accuracy is a comparison of the actual ohmic reach of the relay under practical conditions with the relay setting value in ohms. Reach accuracy particularly depends on the level of voltage presented to the relay under fault conditions. The impedance measuring techniques employed in particular relay designs also have an impact. Operating times can vary with fault current, with fault position relative to the relay setting, and with the point on the voltage wave at which the fault occurs. Depending on the measuring techniques employed in a particular relay design, measuring signal transient errors, such as those produced by Capacitor Voltage Transformers or saturating CT’s, can also adversely delay relay operation for faults close to the reach point. It is usual for electromechanical and static distance relays to claim both maximum and minimum operating times. However, for modern digital or numerical distance relays, the variation between these is small over a wide range of system operating conditions and fault positions. Alternatively, the above information was combined in a family of contour curves, where the fault position expressed as a percentage of the relay setting is plotted against the source to line impedance ratio, as illustrated in Figure 11.4. Digital/Numerical distance relays tend to have more consistent operating times. They are usually slightly slower than some of the older relay designs when operating under the best conditions, but their maximum operating times are also less under adverse waveform conditions or for boundary fault conditions. A single, generic, equivalent circuit, as shown in Figure 11.5(a), may represent any fault condition in a three phase power system. The voltage V applied to the impedance loop is the open circuit voltage of the power system. Point R represents the relay location; IR and VR are the current and voltage measured by the relay, respectively. Pada kesempatan kali ini saya ingin berbagi buku panduan wajib seorang electrical engineer ini kepada rekan-rekan serta ade-ade mahasiswa semua. Saya berharap dengan buku ini, kompetensi praktisi teknik listrik di Indonesia terutama yang berkecimpung dalam sistem tenaga listrik dapat lebih baik lagi bahkan mampu menandingi tenaga ahli asing yang bekerja di Indonesia (yang pada hakekatnya belum tentu lebih baik dari kita). Tanpa sebuah dasar acuan standar, bagaimana kita bisa mengatakan “ini salah dan ini benar” bahkan ketika dibohongi oleh pelaksana proyek dari pihak asing pun kita tidak akan pernah mengetahuinya bukan? Bundle pdf ini wajib anda miliki jika saat ini anda adalah seorang konsultan dalam bidang ketenaga-listrikan. 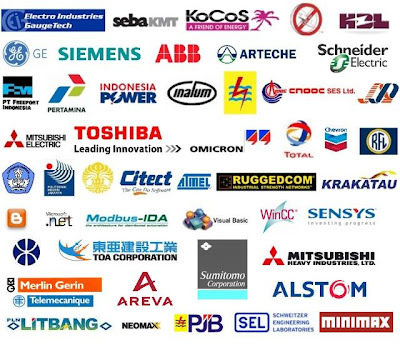 Bahkan hampir seluruh isi PUIL pun diadopsi dari IEC (International Electrotechnical Commission). IEC 60044 adalah satu bundel pokok bahasan yang mengupas tentang segala jenis “Instrument transformers”, seperti: ketentuan-ketentuan umum, spesifikasi yang harus dimiliki, jenis-jenis test beserta batasan nilai yang diperbolehkan dan masih banyak lagi. IEC 60044-1 Current transformers, seluruh ketentuan-ketentuan umum, spesifikasi yang harus dimiliki oleh CT, jenis-jenis test beserta batasan nilai yang diperbolehkan untuk CT dan masih banyak lagi standar-standar nilai yang digunakan oleh banyak negara di dunia ada disini. Bagi yang tertarik dengan buku ini, dapat diunduh disini (format PDF). It is important to chose the correct size of air conditioner for a room. Too small and the air conditioner will be working too hard, the room will not be cool enough and you may get condensation problems. Too large and your air conditioner may be constantly switching on and off. This calculator is to help you decide what size of air conditioner you will need. PK (Dutch for Horse Power or HP) which is the common sizing of air conditioners in Bali. BTUs (British Thermal Units) the common sizing used in America. The electrical power rating in watts (this is input watts not output watts). A well insulated room might have thick solid walls, an insulated ceiling, close fitting doors and few or double glazed windows and not many people in it. An medium insulated room might have solid concrete walls, close fitting doors, an insulated roof and few standard windows. A poorly insulated room might have large window area, poorly fitting doors, a roof or walls that give off heat or a lot of people in it. The Sword of Goujian (Traditional Chinese: 越王勾踐劍 , Simplified Chinese: 越王勾践剑) is an archaeological artifact of the Spring and Autumn Period found in 1965 in Hubei, China. Renowned for its sharpness and resilience to tarnish, it is a historical artifact of the People's Republic of China currently in the possession of Hubei Museum. In 1965, while an archaeological survey was being performed along the second main aqueduct of the Zhang River Reservoir in Jingzhou, Hubei, more than fifty ancient tombs of the Chu State were found in Jiangling County. The dig started in the middle of October 1965 and ended in January 1966. More than 2000 artifacts were recovered from the sites, the most interesting of which was a bronze sword. In December, 1965, 7 km away from the ruins of Jinan, an ancient capital of Chu, a casket was discovered in Wangshan site #1. Inside, an ornate sword was found on the left of a human skeleton. The sword was found sheathed in a wooden scabbard finished in black lacquer. The scabbard had an almost air-tight fit with the sword body. Unsheathing the sword revealed an untarnished blade, despite the tomb being soaked in underground water for over two thousand years. A simple test conducted by the archaeologists showed that the blade could still easily cut a stack of twenty pieces of paper. On one side of the blade, two columns of text were visible. In total there are eight characters written in an ancient script. The script was found to be the one called "鸟虫文" (literally "'birds and worms'-characters" owing to the intricate decorations to the defining strokes), a variant of zhuan that is very difficult to read. Initial analysis of the text deciphered six of the characters, "越王" (King of Yue) and "自作用剑" ("made this sword for (his) personal use"). The remaining two characters were likely the name of this King of Yue. From its birth in 510 BC to its demise at the hands of Chu in 334 BC, nine kings ruled Yue, including Goujian, Lu Cheng, Bu Shou, Zhu Gou, etc. The exact identity of this king sparked an active discussion/debate among archeologists and Chinese language scholars. The discussion was carried out mostly in letters, and it involved famous scholars such as Guo Moruo. After more than two months of exchange, the experts started to form a consensus that the original owner of the sword was Goujian, the King of Yue made famous by his perseverance in time of hardship. So the entirety of the text reads "越王勾践 自作用劍", meaning "(Belonging to) King Goujian of Yue, made for (his) personal use". The Sword of Goujian is 55.6 cm (21.9 in) in length, including a 10 cm (3.9 in) hilt. The blade is 5 cm (2 in) wide. In addition to the repeating dark rhombi pattern on both sides of the blade, there are also decorations made of blue crystals and turquoise. The grip of the sword is bound by silk, while the pommel is composed of eleven concentric circles. After being in water for two thousand years, the Sword of Goujian still has a sharp blade and shows no signs of tarnish. To solve this mystery, scientists at Fudan University and CAS made use of modern equipment to determine the chemical composition of the sword, as shown in the table below. Many[who?] experts believe that the chemical composition, along with the almost air-tight scabbard, explains the exceptional state of preservation of this sword. Spear of Fuchai, the spear used by Goujian's arch-rival, King Fuchai of Wu. 1. A dog is bigger than a mouse, but smaller than an elephant. A dog is smaller than a mouse. A dog is very big. A dog is the biggest. An elephant is bigger than a dog. 2. Sangay is English but Teresa isn't; she's American. Teresa and Sangay aren't English. 3. He is the oldest man in the world. He is not as old as my grandmother. There are no older men anywhere. He's older than some other men. 4. You can't come without a ticket. You can come if you have a ticket. You mustn't go with a ticket. You don't need a ticket to come. You cannot buy a ticket outside. 5. Andrea is looking after the children. She can see the children. She is taking care of the children. She is looking at the children. The children are in front of her. 6. They only have one car for the family. They do not like any other cars. They do not have two cars. They have a big family. 7. What does Vonica like? What are her favourite things? Does she look like Vonica? 8. He hopes to go home, but he may go to work. He'll be at home before the office. It is possible that he will go to work. He's allowed to go to work. He always goes home after work. 9. I want you to clean the car when you come back. You want to clean it. We will clean it together. I don't want you to forget to clean it. I want to clean the car. 10. She used to smoke cigarettes. She is used to cigarettes. She smoked before, but she doesn't now. 11. Shall I take you to the station? Would you like me to take you to the station? Will it be necessary to take you there? Did I take you before? 12. They should talk more slowly. They would like to talk more slowly. They might have slower talks. 13. Mirana remembered to phone the doctor. She remembered phoning the doctor. Mirana forgot to remember to phone. She didn't forget to phone the doctor. She remembered that she phoned her. 14. Madame Traiviey has lived nearly 115 years. She died when she was nearly 115. Madame Traiviey has many more years. 15. She can hardly see it. She is hard with it. She cannot see it very well. It is hard to see her. 16. Yeuk Yee had her house painted white yesterday. She had to paint her house white yesterday. Her house was not blue last week. They painted her house white for her yesterday. She painted her house yesterday. 17. Either teacher knows the answer. No teachers know the answer. Both teachers know the answer. All the teachers know the answer. 18. I'd rather be a millionaire. I'd better be a millionaire. I'd prefer to be a millionaire. You have more millions than me. 19. You don't have to do this test. You can't do this test. You have no desire to do it. 20. If Muriel had come, she would have won. When Muriel came she always won.